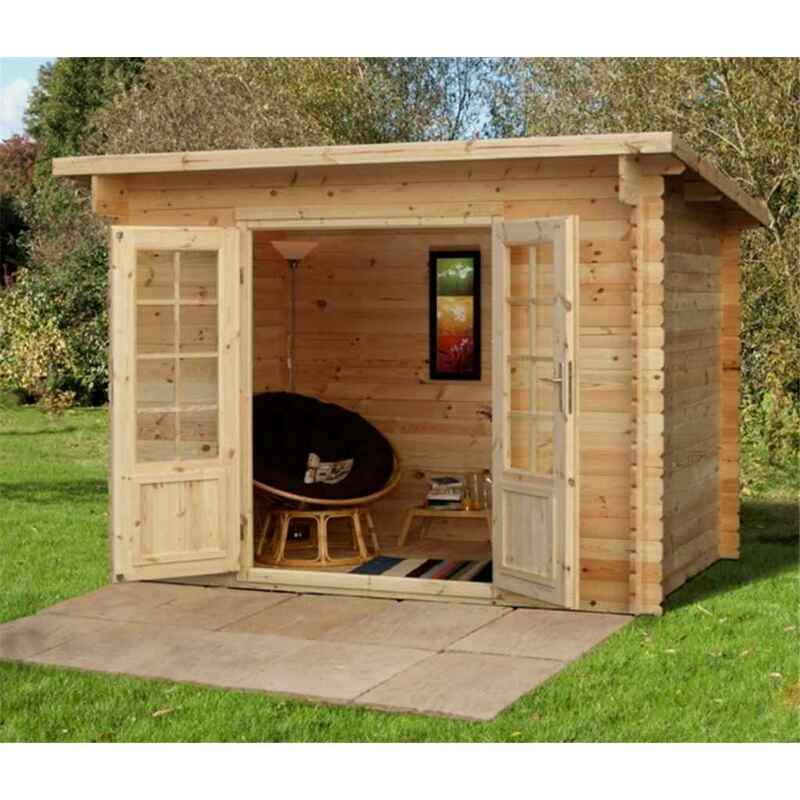 This log cabin is an attractive feature for your garden with a huge amount of uses. The thick roof beams and high quality of the timber walls on the interior of the log cabin are a fantastic feature. The doors are all handcrafted joinery and as in the walls are made from thick 28mm logs in order to retain heat.